Whilst as a business you might have a social media strategy to connect with your target customers, as a business owner, entrepreneur or sales and marketing manager you personally have to decide what YOU want to get from YOUR LinkedIn profile. So, how can you do this, and make more connections and sales using LinkedIn? The 21 Day LinkedIn System, has been designed for you to become more effective through a proven to succeed step-by-step process. 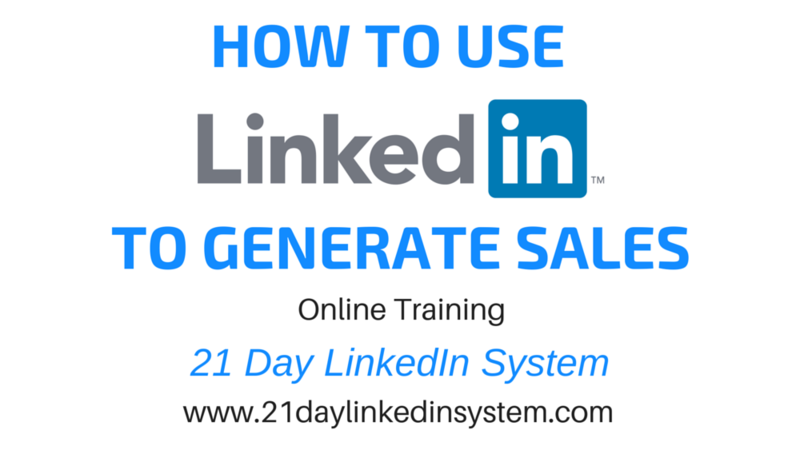 In this 1 hour training, I will take you through my 21 Day LinkedIn System which has been designed to help you understand LinkedIn and achieve an “All-Star” profile to drive traffic, generate leads and get more sales. I have over 7,500 connections, 200 long-form posts, and over 10,000 content followers on LinkedIn. One of my posts has received over 4500 views, 900 likes and 60 comments and can attribute a 5-figure income JUST from LinkedIn alone, as an “All Star” profile.